Kitschmas chaos has arrived at E.N. 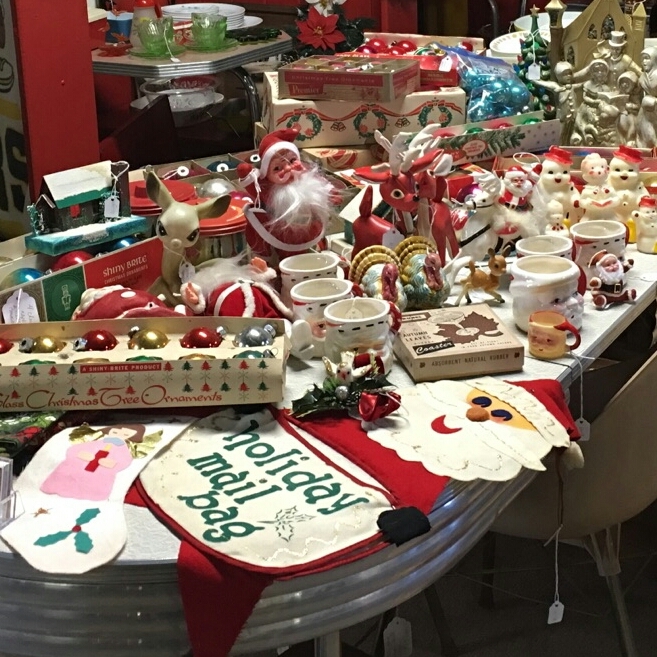 Miller Antique Mall in Verona, PA – we’ve dropped off lots of holiday items and will be bringing even more down this Friday, including an aluminum Christmas tree, ceramic light-up trees, elves, and more! We’re fully stocked for all your gift-giving needs, too – from midcentury classics to 1980s nostalgia, we’ve got a little bit of everything down in space E-11 on the top floor. 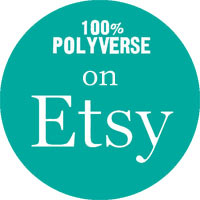 We’re also keeping our Etsy shop fully stocked, so if you’re looking for clothing and accessories from the 1940s – 1970s, you can find it there! We’re going to be taking a break from November 11 – November 20, so we’re sad to say we’ll be missing this fall’s Pgh Vintage Mixer, which will be held at Spirit in Lawrenceville on Saturday, November 19th! We hope you all will go out and support Pittsburgh’s awesome vintage scene – it is sure to be a groovy time! We’re working on our December schedule, so you’ll have the opportunity to shop our stock somewhere in the ‘Burgh, we’re sure of it. Our Etsy shop will be on vacation from the 11-20 as well, but we’ll be back (with lots of new goodies) later in the month. It’s that time of year where we reflect upon what we’re most thankful for – and, as usual, we’re thankful for this awesome and supportive community of buyers and sellers that allows us to do what we love! We want to thank everyone who has supported us this year, both online and IRL – we love you guys! Happy holiday season! Feel the Heat with our 30% off Summer Sale at EN Millers Antique Mall! good ill: Photographic Evidence of Cryptic Thrift. 1972 Shasta 1400: Adventures in Restoring a Vintage Travel Trailer. Pudgie Wudgie: The Online Home of the Allegheny Valley’s Most Famous Cat.